Drafting a power of attorney is a little like cooking without a recipe. As long as the end result is something you can live with, you don’t have to burden yourself with following exact directives. You can find sample forms at any library or office supply store, but other than some general bases you should cover, its contents are largely up to you. Your opening paragraph should contain identifying information regarding you and the person to whom you’re giving power of attorney. You are the principal and the other person is your agent or attorney-in-fact. This doesn’t mean he actually has to be an attorney; it’s simply a title that means he can act on your behalf. Include addresses for both of you. You can also include your Social Security numbers if you choose to. Your next several paragraphs should itemize exactly what you’re authorizing your agent to do on your behalf. For clarity’s sake, you can number and indent each of these paragraphs under a subheading and list one authorization in each. You should also list anything you’re not authorizing him to do. If you’re giving him the power to buy or sell real estate for you, most states require that you file a copy of your POA with your county when it’s complete. Close your POA with your provisions regarding how long you want it to last. You can state that it’s effective as of the date of signature. Include an ending date, or indicate that it is open-ended until you expressively revoke it. Give yourself the power to revoke it at any time. If you want your POA to be “durable” and remain in effect should you become incapacitated, include this as well. If you don’t, many states won’t recognize your POA as durable if the worst occurs and you can’t handle your own affairs. Create signature lines for you, your agent and at least two witnesses with areas beneath each for a notary public to sign. Include date lines. Notary requirements vary from state to state. 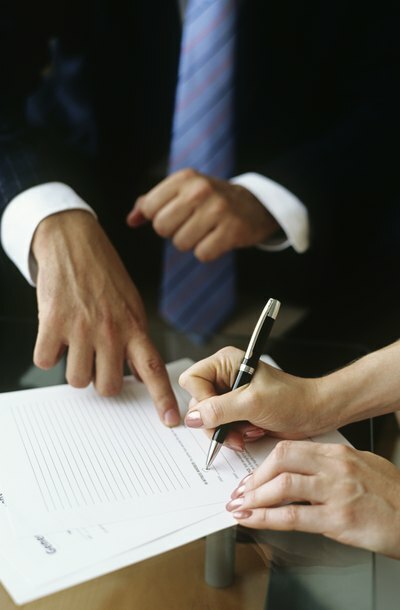 In some jurisdictions, you may not need them other than for real estate transactions. The number of witnesses you’ll need also depends on state law.